Playster x Read and Caffeinated: What Type of Coffee Would Your Favorite Book Boyfriend Be? To start the year... well I know this is a bit late but coffee never goes outdated, so today Read and Caffeinated is excited for a post from Playster! Like most readers, the staff here at Playsterlove to sit down with a nice cup of joe and a great book. With unlimited to access with some of the greatest titles, it’s easy to get lost in a story for hours. One afternoon while reading Wuthering Heights and sipping on a cappuccino, we got to thinking: if Heathcliff was a cup of coffee, what would he be? Then we started dreaming up all these other literary boyfriend/coffee combos. How do you feel about these? 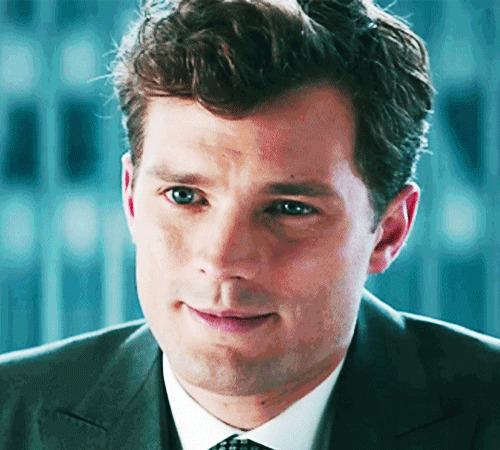 Christian Grey would be… an espresso lungo. Mr. Grey, we want to drink you up, what with you being tall, dark and handsome and all that. You’re sophisticated, and being with you makes us look sophisticated too, but your bitter aftertaste makes us think twice about whether you’re really all that good for us. Mr. Darcy would be… an affogato. Heathcliff would be… a macchiato. Oh Heathcliff. You poor, dark, twisted soul. I mean, we still love you, but just a teeny tiny bit, like the same amount as the small dash of a milk in a macchiato coffee. The rest of you is too bitter to handle, and you’ll never be as soothing as a full blown café latte….but to be clear, at the end of the day, we’d still drink you up. Noah Calhoun would be… a mocha. Noah continues to be the best leading man Nicholas Sparks ever wrote, for many reasons. We could write whole books on why he’s perfect, but we’ll save that for another day. If he were turned into a cup of coffee, Noah would totally be a mocha, the best of chocolate and coffee combined—sweet, desirable and utterly flawless. Romeo Montague would be… a café con leche. Peeta Mellark would be… a cappuccino. Jay Gatsby would be… an americano. The Great Gatsby is the epitome of the rags to riches tale, albeit not in the most legal of ways. For that, we think Mr. Gatsby would be an americano. You order an americano when you want an espresso but aren’t ready to deal with a sophisticated shot. Add some hot water to the mix and make it last a little longer, kind of like how Gatsby holds on to his past experiences with Daisy when he knows in his heart that they can’t really be carried forward into the present. Can you tell how serious we are about coffee yet? So, who’s your favorite literary man? Does he match up with your regular coffee order? Let us know in the comments! Playster is an on-demand entertainment service that takes care of everything: books, movies, music, games, whatever the moment calls for. Boasting the world’s most diverse digital collection, Playster offers everything from timeless classics to the newest blockbusters, on almost any device. Members get all their favorite things in one place, with unlimited access to titles from the world’s largest publishers, labels, movie and game studios, as well as specific niches and hidden gems. Constantly evolving with new content and features, Playster is the future of entertainment. Follow them on Facebook and Twitter for updates.